The key to keeping a vehicle going after reaching a high mileage like 120,000, 180,000 or 250,000 miles is maintenance and inspection. 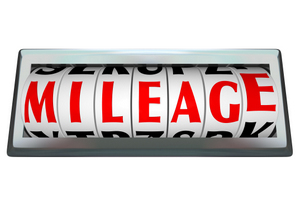 If you look at any factory-recommended service intervals, after 100,000 miles they cease to exist. 125,000 miles is almost five times around the planet. With all of the warranties expired, it is up to the owner and their repair shop to keep it rolling. Here are 13 items you should service. 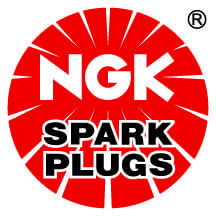 Spark Plugs: The plasma of the spark wears away the electrodes every time a spark plug fires. As the gap increases, it requires more energy to fire the plug. This can take its toll on the coils. Decoupler ­Pulleys: Some late-model ­alternator pulleys wear out in as little as 60,000 miles. These overrunning ­alternator decoupler (OAD) ­pulleys or one-way clutches ­increase engine efficiency and decrease vibration. Their failure can cause other accessory drive components to wear out prematurely, a no-charge condition, a weak battery, and/or a decrease in fuel economy. 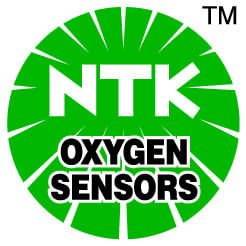 O2 Sensors: By the time a vehicle has reached 120,000 miles, it might have burned more than 5,000 gallons of fuel. Combustion byproducts can accumulate on the sensor and cause it to respond slower to fuel ­mixture changes. A/C: One expendable part of the system is the A/C compressor clutch. Like a clutch between the engine and transmission, it can wear out and slip. Most vehicles have an inspection procedure and specification for the clutch. Belt Tensioner: If a vehicle has made it this far, the belt tensioner might need to be replaced, along with the belt. As the spring inside the tensioner fatigues, it can cause the belt to jump and vibrate. Also check the idler pulleys for noise and bearing leaks. Coolant: Many OEMs have a replacement interval of 125,000 miles. While the coolant does not lose its ability to transfer heat, the additive package loses its ability control corrosion and the pH level of the coolant. Alignment: Vehicles should be aligned more often as they get older to monitor suspension bushings and springs. Ride height should be measured at every alignment. Transmission Fluid: The typical OE service interval can range from 60,000 miles to “lifetime.” Many modern transmissions do not even have a filter. 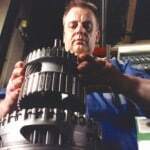 Changing the fluid in the transmission on a regular basis will keep internal wear in check. Some AWD and 4WD vehicles have three differentials that need service. Ignoring these can lead to an expensive repair. Some manufacturers may not specify a service interval, but that does not mean they don’t need to be serviced. 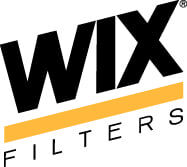 Filters: The fuel filter should be replaced to prolong the life of the fuel pump and potentially the engine. Modern fuel pumps are sensitive to restrictions and the pump will have to work harder if a restriction is present. Shocks & Struts: The recommended replacement ­interval for shocks and struts is 50,000 miles. According to one ride control manufacturer, a typical shock and strut “strokes” an average of 1,750 cycles per mile – that’s 87.5 million cycles in a lifetime! Brake Fluid: Brake fluid should be replaced when the boiling point drops or the concentration of the copper brazing in the fluid indicates corrosion in the system. Replacing the brake fluid can extend the life of the calipers, master cylinder and ABS modulator. Combustion Chamber: Carbon can build up on the crown of the piston, valves and head. If the carbon ­deposits get too heavy, they can cause turbulence in the chamber, hot spots and even an increase in the compression ratio. Newer vehicles are more sensitive to this ­because of the advanced ­design of their combustion chambers and higher compression ratios. Engine ­de-carbonization can help ­remove these ­deposits. When a vehicle reaches 180,000 miles, wear between the cylinder walls and piston rings could start to show. Gases from the crankcase into the combustion chamber can cause carbon deposits and damage the catalytic converter and O2 sensors. Blowby from the combustion chamber to the crankcase can also cause contaminated oil and bearing damage. This type of wear kills an engine. If the customer kept up with regular oil changes and the previously listed items, the investment is ­starting to pay off at 180,000 miles. At this milestone, there are other maintenance items a shop should pay ­attention to in addition to the 125,000-mile recommendations. Drivetrain Seals: Seals on axles and ­driveshafts need to be inspected regularly. While a leaking seal may not cause a breakdown, the loss of fluid will. Recommend replacement at the first sign of a leak. Seals are cheap insurance on very ­expensive components. MAF Sensor: By 180,000 miles, the engine will have consumed more than an Olympic-sized pool of air. Even with a filter, the mass airflow sensor will become contaminated. Cleaning the sensor can restore performance and fuel economy. Headlights: Inspect and adjust the headlights. The ­adjusters inside the lights can be damaged over time by ­vibration and heat. UV rays and road debris can damage the headlight lens, leaving it yellow and foggy. There are professional ­solutions to headlight refinishing that are profitable and efficient. 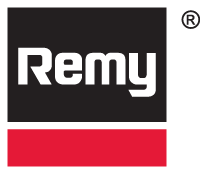 Timing Chain Tensioners: Timing chain guides are ­designed to wear. They are made of composite materials that can become brittle when exposed to heat cycles and engine oil over time. Oil-pressurized tensioners can wear and leak. The most common sign of failure is noise, timing skips and/or a check engine light. Inspect and replace these items ­before they kill the engine. Power Steering Fluid: Anti-corrosion and anti-foaming additives in power steering fluid will break down over time, accelerating wear on the pump and rack. The fluid will not appear to be contaminated, but it does need to be changed. Engine and Transmission Mounts: Worn motor and transmission mounts can turn an engine into a wrecking ball. If a worn mount is ­ignored, it can cause exhaust system leaks and shifter cable failures. A/C: The performance of an HVAC system can be ­determined with an anemometer that measures wind speed. This tool can be used to spot restrictive cabin air filters, stuck doors or weak ­blower motors. The moon is approximately 238,000 miles away. If a ­vehicle has made it this far, chances are it has been serviced regularly throughout its lifetime. Catalytic Converter: Check for any physical damage and hit it with a hammer to make sure that the ceramic biscuits are tightly held in place. If the driver has kept up with general maintenance, like oil changes and fuel injector service, the ­converter might be operational within the specifications. Fuel Injector Cleaning: At 250,000 miles, more than 10,000 gallons of fuel have been pumped through very small holes in the injectors. An injector’s needle and seat also have been crashing into each other millions of times. Carbon can build up on the caps and the fuel spray pattern might not be what it once was. 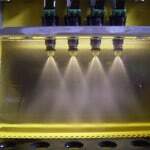 You can perform a fuel injector cleaning on the car, or you can send the injectors out for ­ultrasonic cleaning. Chassis Inspection: Alignment plays an important role in measuring the health of the chassis. Toe that is outside of the specification can indicate a worn or ­broken spring. ­Excessive camber can ­reveal a soft control arm bushing. A/C: Pay attention to the condenser, air dam and shrouds. On some vehicles, a significant amount of debris may have built up between the condenser and radiator. Dirty fuel injectors rob engines of power. Fight back against fuel injector dirt with this useful guide to finding and fixing issues with fuel injectors.